Vox Optima's Gary Potterfield talks digital signage strategies with Mason Page from Reflect Systems at the 2018 Digital Signage Expo in Las Vegas. Every time technology brings us new ways to communicate, marketing and public relation pros have found ways to integrate that tech into their strategies for getting messaging in front of audiences. Today we turn printed books into audiobooks; lectures and TEDTalks become podcasts, videos, and blog posts; and the range of options is limited only by imagination and audience preferences. For this episode of The Brand Ambassadors, Merritt and Gary look at branding technology and center their focus on digital signage. As the digital signage expert for Vox Optima, Gary breaks down the advantages of a comprehensive communication strategy that integrates a digital signage component. Along with that discussion, Merritt and Gary weigh the pros and cons of DS options for small, medium and large organizations like corporations, government agencies, educational institutions, and so on. 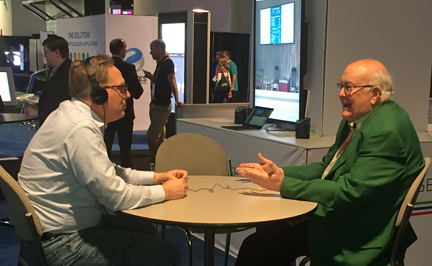 Gary interviews Alan C. Brawn of Brawn Consulting on the upcoming trends and technology for digital signage. The debate is enhanced with expert interviews Gary collected when he attended the Digital Signage Expo in Las Vegas. He talks with Mason Page of Reflect Systems and Alan C. Brawn, the principle of Brawn Consulting and a former chairman of the Digital Signage Federation, on digital signage and digital-out-of-home display industry and get their thoughts on practical and realistic tactics that can bring digital signage into your communication strategy. Lots of insightful information for this episode, so don’t miss out. Alan Brawn is a principal of Brawn Consulting, an audiovisual consulting, training, educational development, and market intelligence company with national exposure to major manufacturers and integrators in the industry. He was formerly president of Telanetix and previously national business development manager and national product marketing manager, Pro AV Group, Samsung Electronics. Alan is an AV industry veteran with experience spanning more than three decades including management of a Pro AV systems integration company for 7 years, and one of the founding members of Hughes-JVC back in the early 1990s. He is a recognized author for leading AV industry magazines such as Systems Contractor News, AV Technology, Digital Signage Magazine, and Rental & Staging. Alan has been an Imaging Science Foundation fellow and instructor since 1994, and co-founder of ISF Commercial. He holds CTS certification, is a senior faculty member of InfoComm and the moderator of the ANSI Projected Image System Contrast Ratio (PISCR) standard. Alan was awarded the InfoComm Volunteer of the Year Award in 2011, and he is the past Chairman of the Digital Signage Federation and the Pro AV Hall of Fame recognition from rAVe in 2004. Alan Brawn received the Fred Dixon Lifetime Achievement in AV Education from InfoComm in 2015. You can reach Alan or learn more about Brawn Consulting via email, Twitter, Facebook and LinkedIn. 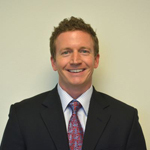 Mason Page joined the Reflect team in 2015 and serves as the company's executive vice president of strategic business planning. In his role, he uses research, insights and digital expertise to create strategies that drive our clients’ businesses forward. He’s an expert at understanding business objectives and recommending digital executions that exceed goals and provide a competitive advantage in the market. Once the strategic roadmap is defined and a program is executed, his job isn’t done yet. Mason also measures and analyzes results, enabling him to optimize campaigns to yield the highest results possible. Mason brings a lot to the table, including fifteen years of advertising experience with top national agencies. As a seasoned strategist and account director, he was responsible for managing multimillion dollar budgets for premier brands like Coca-Cola, Diet Coke, Pizza Hut, P&G and Enterprise Rent-A-Car. His digital background is robust and includes accolades like rolling out Pizza Hut’s first iPad and Android apps, launching Diet Coke’s social media program and partnering with P&G on seven new product launches. Mason graduated with honors from Texas Tech University with a bachelor’s in marketing. You can reach Mason via email, Facebook, Twitter, LinkedIn and Instagram. Newer PostGetting Your Media Relations "Done Right"